119 Marshall Dr, Mount Edgecombe, Kristappa Reddy, 1898. 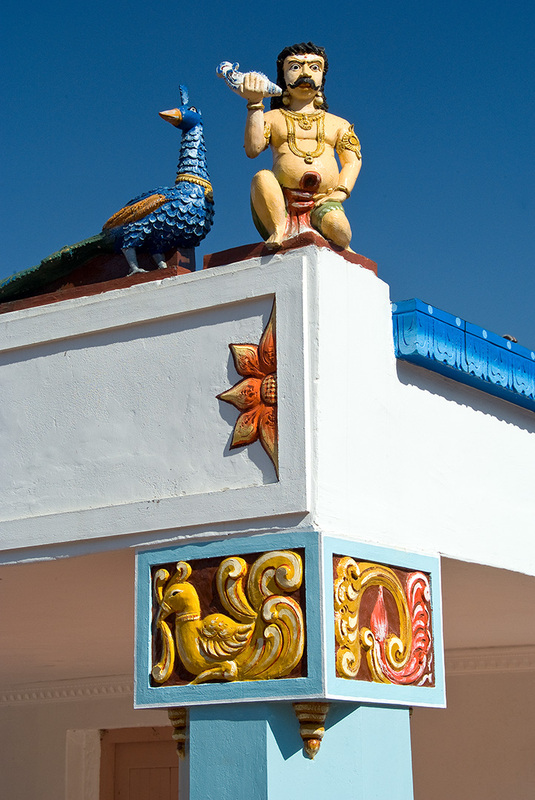 Believed to be the oldest surviving ‘solid’ temple in Africa and one of the finest examples of temple architecture in South Africa, the Ganesa temple was built in 1898 by indentured bricklayer and temple architect Kristappa Reddy. Situated on the road to KwaZulu-Natal’s wild North Coast, the temple is a classical arrangement enclosed within a walled courtyard, with Nandi the bull guarding its corners. The temple has an axial entrance through a low gopirum (entrance tower) which leads past a kodi pole (an external altar and flagpole) to the central cella, the domed structure which houses the elephant-like deity Ganesh. 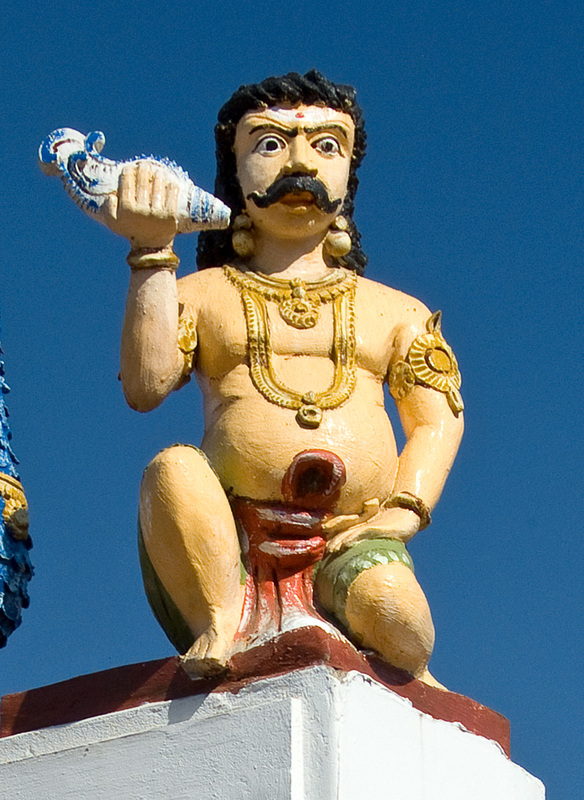 The Shiva Temple was built in 1912 by master temple builder Kothanar Ramsamy Pillay. 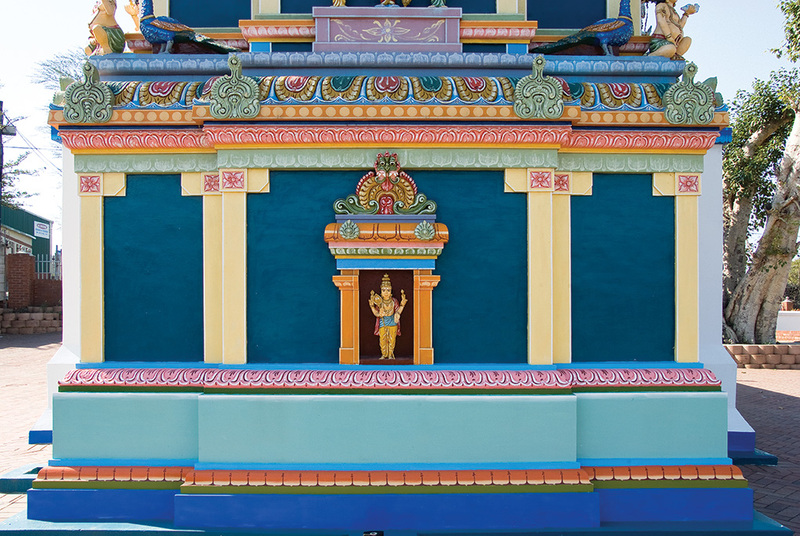 Crowned by a deeply modulated barrel vault, the temple’s design shows a strong appreciation of architectural elements, although these are now diffused by arbitrary use of colour. The recent addition of the hall has been insensitively executed, with little integration of the deities into its structure.